Frequent travel for business can be a grind. The Delta Reserve for Business Credit Card offers several ways to make the experience both more enjoyable and even, believe it or not, rewarding. The Delta Reserve for Business Credit Card is well-suited for companies that do high-volume travel, prefer to do it with Delta Airlines and appreciate a fair amount of comfort when they do. The ball gets rolling quickly with an introductory offer that features 40,000 bonus miles that you'll receive after you make $3,000 in qualifying purchases within three months of opening the account. That alone is a decent welcome offer, but the offer also includes 10,000 Medallion® Qualification Miles (MQMs), which give new cardholders a big jumpstart toward Silver Medallion® elite status (achieved at 25,000 MQMs). Any frequent traveler knows that frequent flyer miles are fantastic, but the real value comes from the status miles you earn which is usually based on the number of flights you take or the total amount of money you spend with the airline in a given time period. Having the opportunity to earn status miles as part of your welcome offer is an enticing feature. Furthermore, this card offers 0 percent interest on purchases for the first six months (then, 17.99% - 26.99% Variable). See Rates and Fees. On an ongoing basis, you earn two miles for every $1 spent directly with Delta and one mile per $1 spent on other qualifying purchases. Miles can be redeemed for flights, seat upgrades, gift cards or shopping. The Delta Reserve for Business Credit Card also offers a "Miles Boost" opportunity through which you earn 15,000 MQMs and 15,000 bonus miles after you spend $30,000 on purchases on your Delta Reserve for Business Credit Card in a calendar year. If your company makes $60,000 in purchases on your Delta Reserve for Business Credit Card, those bonuses jump to 30,000 MQMs and 30,000 bonus miles. Even though the annual fee is steep at $450, it could be largely offset with the free domestic first class, Delta Comfort+® or main cabin round-trip companion certificate cardholders receive each year when you renew your card. Additional perks include complimentary access to Delta Sky Club® and a discounted rate of $29 per guest (up to two) any time you fly on Delta. You also get priority boarding, your first bag checked free, as well as 24/7 concierge service and no fee for foreign transactions. Each year you renew your card you'll receive a round-trip companion certificate, which will go a long way toward offsetting the annual fee. Wait for your flight in comfort with complimentary access to Delta Sky Club® lounges around the world. Earn up to 40,000 bonus miles and 10,000 Medallion® Qualification Miles after you spend $3,000 in purchases with your new Card in your first 3 months. This card is designed for businesses with a deep loyalty to Delta. To fully offset that steep annual fee, you'll need to put the Delta-specific perks to good use and you'll definitely want to spend enough on the card to earn those annual bonus miles and bonus MQMs. Who doesn't love upgrades, free travel and exclusive access? The Delta Reserve for Business Credit Card is loaded with all three. Receiving 40,000 bonus miles and 10,000 Medallion® Qualification Miles after making $3,000 in qualifying purchases in the first three months is a nice perk for a relatively small spend threshold. Looking forward to each card member anniversary, you can count on a free travel companion voucher each year after your card renewal. For a business that relies on frequent travel, the Delta Reserve for Business Credit Card affords the opportunity to rack up miles in the Delta SkyMiles® frequent flyer program very quickly. Two miles for every $1 spent with Delta and one mile for every $1 spent on other qualified purchases is very enticing, but it's the end-of-the-year bonus of as much as 30,000 miles and 30,000 MQMs that really sets this card apart. Spend $30,000 on your card in a calendar year and you'll receive 15,000 bonus miles and 15,000 bonus MQMs. Earn another 15,000 bonus miles and 15,000 MQMs, for a possible total of 30,000 bonus miles and 30,000 bonus MQMs each year, if you spend a total of $60,000 on the card in the year. For those who enjoy receiving special treatment, the Delta Reserve for Business Credit Card provides complimentary access to Delta Sky Club® lounges worldwide and a discounted rate of $29 per guest (up to two) any time you fly on Delta. You also receive priority boarding and, just to add to the money-saving perks, your first checked bag on Delta flights is free. Using the Delta Reserve for Business Credit Card for all your Delta travel and related purchases can help you earn even more perks and upgrades as those annual MQM bonus opportunities will move you into higher tiers of the Delta Medallion Program. You can earn up to 30,000 MQMs per year, in addition to those you’ll earn with just your regular traveling, which will get you closer to Silver, Gold, Diamond and Platinum elite status. As an added little bonus, you enjoy a 20 percent savings on eligible in-flight purchases (in the form of a statement credit on your card). The Delta Reserve for Business Credit Card has an annual fee of $450. That's a significant investment unless you know you will be doing enough travel to make it worthwhile. Keep in mind that the annual companion ticket will go a long way toward offsetting that fee; additionally, if you typically purchase an annual airport lounge membership, you'll save money on that as this card offers complimentary access. And, as with any airline reward redemption, you will be responsible for paying the taxes and fees on the flight even if you have enough miles to cover the full cost. 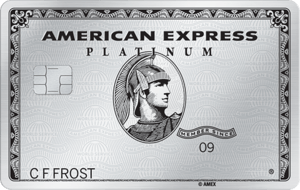 The Business Platinum® Card from American Express is a more general rewards card that functions on American Express' Membership Rewards® program (Terms apply; See Rates and Fees). That flexibility, however, comes with a higher annual fee of $595. The Business Platinum® Card from American Express, however, is featuring a welcome offer opportunity worth up to 75,000 bonus Membership Rewards® points. Earn 50,000 bonus points after you spend $10,000 and earn an additional 25,000 points after you spend another $10,000 all in the first three months. For reference, that bonus alone could be worth more than $1,000 in flights given that you can receive 35 percent of your points back (up to 500,000 points a year) when you Pay with Points for a first- or business-class flight on any airline (or any class flight on your pre-selected airline) through amextravel.com. The catch with this bonus offer, of course, is the high spending threshold you have to meet in order to earn those points. For comparison, the Delta Reserve for Business Credit Card offers 40,000 bonus miles plus 10,000 MQMs after $3,000 in qualified purchases over the first three months. In terms of earning rewards on an ongoing basis, the Delta card focuses on, well, Delta. The Delta Reserve for Business Credit Card offers two miles for every $1 spent with Delta; whereas, The Business Platinum® Card from American Express has more general earning options for travelers, including five points for every $1 spent on flights and prepaid hotels booked through amextravel.com. Both cards offer one mile (or point) for each $1 spent on additional qualifying purchases, but The Business Platinum® Card from American Express also rewards you with 1.5 points per $1 on purchases of $5,000 or more, allowing you to earn up to 1 million extra points per year. While the Delta Reserve for Business Credit Card offers a free companion travel voucher when you renew your card each year, The Business Platinum® Card from American Express has you select one qualifying airline at the start of each year and then you can qualify for a reimbursement of up to $200 per year for incidental expenses such as checked bags and in-flight drinks with that pre-selected airline. It may not be worth quite as much as the travel companion voucher offered by the Delta card, but it's certainly a more flexible option. And, really, flexibility is the key difference between these cards. Both offer luxury treatment like access to airport lounges and more, but if you aren’t loyal to the Delta brand you could find more value with The Business Platinum® Card from American Express. The Delta Reserve for Business Credit Card offers 40,000 bonus miles plus 10,000 MQMs after $3,000 in qualified purchases over the first three months. The Citi® / AAdvantage® Executive World Elite™ Mastercard® is offering 50,000 American Airlines AAdvantage® bonus miles after spending at least $5,000 in purchases within the first three months of account opening (Citi is a CardRatings advertiser). Again, both cards carry an annual fee of $450 and, as we'll see, both offer similar luxury perks for their respective airlines. 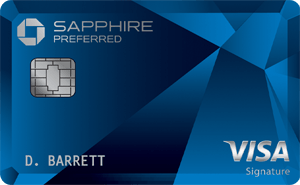 The cards have similar rewards programs, with the Delta Reserve for Business Credit Card connected to Delta SkyMiles® and the Citi® / AAdvantage® Executive World Elite™ Mastercard® connected to American AirlinesAAdvantage® miles. Both offer two miles for every $1 spent on eligible purchases with the respective airline. Both cards offer a discount on in-flight purchases – 20 percent for the Delta Reserve for Business Credit Card and 25 percent with the Citi® / AAdvantage® Executive World Elite™ Mastercard®. Both offer access to exclusive "members only" airport lounges (though guests traveling with you can accompany you free of charge into the American Airlines Admirals Club® lounges with that card and you'll pay for your guests with the Delta card) and both offer cardholders priority boarding and a free checked bag. Only the Delta Reserve for Business Credit Card, however, offers what could be a free first-class companion travel voucher each year upon renewing your card; there's no equivalent travel-companion opportunity with the American Airlines card. While the Delta Reserve for Business Credit Card is perfectly suited for companies that do frequent business traveling, the Ink Business Preferred℠ Credit Card is designed for a wide range of business expenditures that could include travel or cash back. The other big difference is in the annual fees. The Delta Reserve for Business Credit Card has an annual fee of $450, compared to just $95 per year for the Ink Business Preferred℠ Credit Card; however, the Delta Reserve for Business Credit Card can largely offset that fee with that companion ticket each year. The Delta Reserve for Business Credit Card offers 35,000 bonus miles plus 5,000 MQMs after $3,000 in qualified purchases over the first three months. The Ink Business Preferred℠ Credit Card offers 80,000 Ultimate Rewards® points for spending at least $5,000 in qualifying purchases over the same first three months – those points are worth up to $1,000 since your points are worth 25 percent more when redeemed for travel through the Ultimate Rewards® portal. In fact, the overall miles/points systems for the two cards are very different. The Delta Reserve for Business Credit Card gives two miles for every $1 spent with Delta Airlines and one mile per $1 on all other qualifying purchases. The Ink Business Preferred℠ Credit Card offers three points for every $1 (up to $150,000 spent per year) on shipping; advertising purchases made with social media sites and search engines; travel; and internet, cable and phone services. You'll also earn one point per $1 on all your other purchases. What you won't get with the Chase card is the luxury treatment or the rewards for your brand-loyalty – though you also won't be paying an above-average annual fee to carry the card. If you and your company do a great deal of traveling for business and if Delta is your airline of choice, this is a card you should certainly consider having in your wallet. It's scope of benefits is admittedly narrow, and it isn't designed for just any cardholder. But it's luxury perks and rewards with Delta could save the right business quite a lot of money.